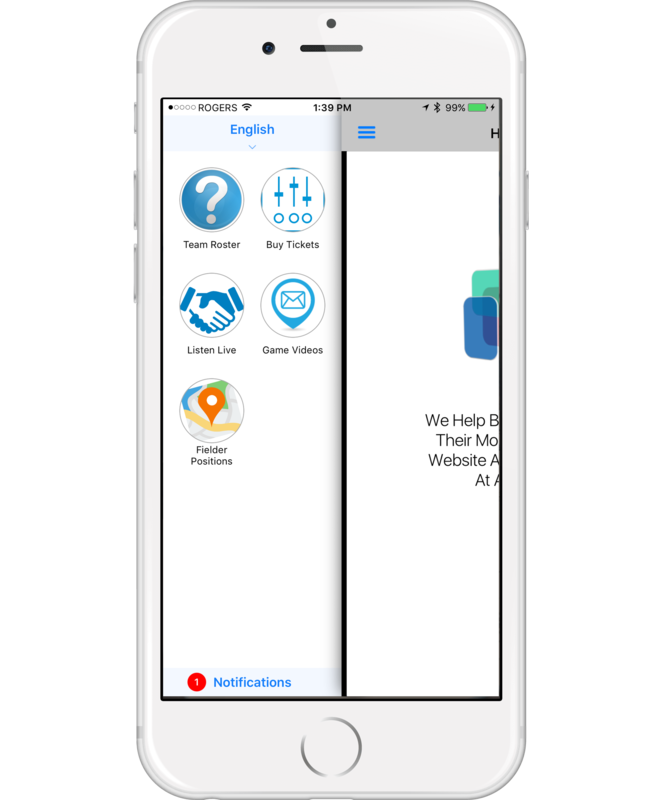 With AppYourWay, we provide the ability to send push notifications for FREE. When your app is first loaded, they are given the opportunity to turn off push notifications. We've created a way for those customers to not miss important messages without invading their space. It's a feature we call 'Custom Notifications'. When customers open your app, they'll see at the bottom left side of your app the text 'Notifications' along with the number of notifications they've missed. As the app owner, you can quickly add notifications on this list but just as easily remove older notifications. This is the ideal way of making new announcements or providing a message relating to any new features as necessary. This feature usually costs a great deal and is complex to create, but we're proud to say that AppYourWay apps makes it possible.